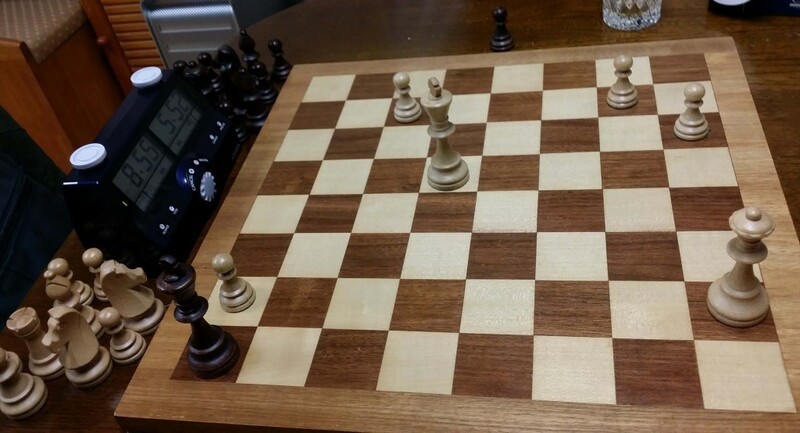 Stalemate In Chess: Grabbing a Draw from the Jaws of Defeat! Stalemate in chess happens when it is your turn to move and your King is not in check, but you cannot move except into check. Here is a photograph of the conclusion of one of my recent games. I am Black and have just managed to secure a draw by inducing stalemate.